"Hi, I need software to retrieve some files including pictures and documents from my Lexar 32GB Professional 133x SDHC Memory Card. 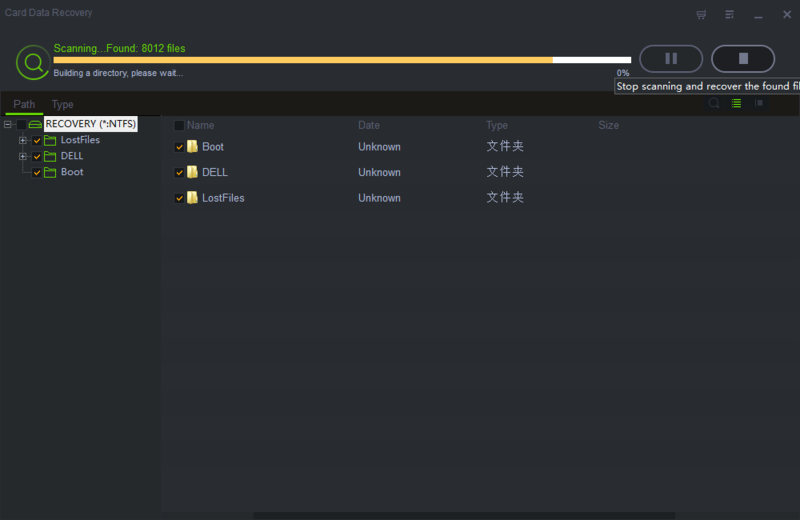 Which is the best Lexar Memory Card Data Recovery software? I want to have a try now." 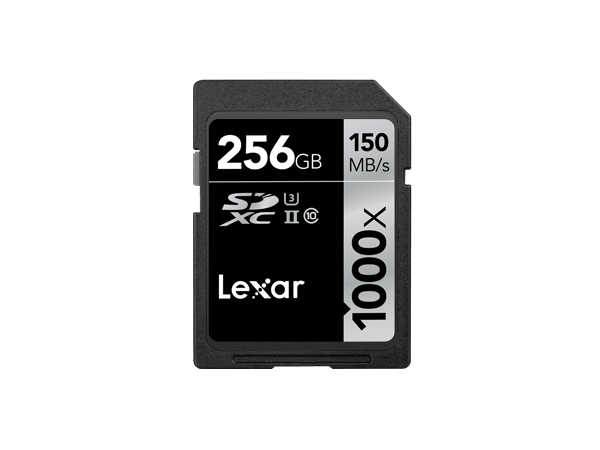 "Is it possible to recover data from a formatted Lexar Memory Card (Lexar Professional 1000x SDHC /SDXC UHS-II cards)?" If you can't access your Lexar Memory Card or accidentally delete/format files from Lexar Memory Card, then you need Lexar Memory Card Data Recovery tool to restore lost data. Lexar Memory Card Data Recovery solution apply for various Lexar card types solutions including Lexar CompactFlash Type I and Type II UDMA 7, SD, SDHC, SDXC, miniSD, miniSDHC, MMC, MMCplus, RS-MMC, microSD, microSDHC, Memory Stick, Memory Stick (with MagicGate), Memory Stick PRO, Memory Stick PRO Duo, Memory Stick Duo (with MagicGate), Memory Stick PRO Duo Mark 2, Memory Stick PRO-HG Duo, Memory Stick PRO-HG Duo "HX", Memory Stick Micro™ (M2), xD-Picture Card, xD-Picture Card Type-M, xD-Picture Card Type-M+, and xD-Picture Card Type-H.
Connect your Lexar Memory Card to computer via a USB cable or card reader, download, install and launch Shining Card Data Recovery. 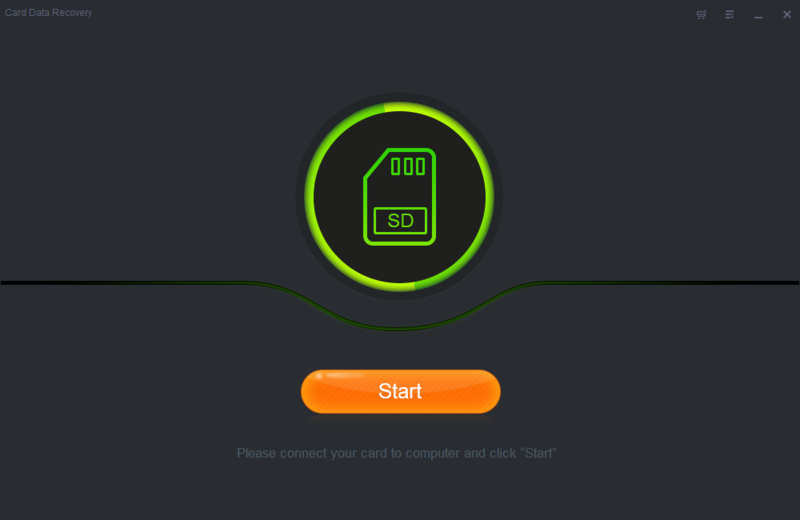 Click "Start", select the Lexar SD card and click "Scan" button. 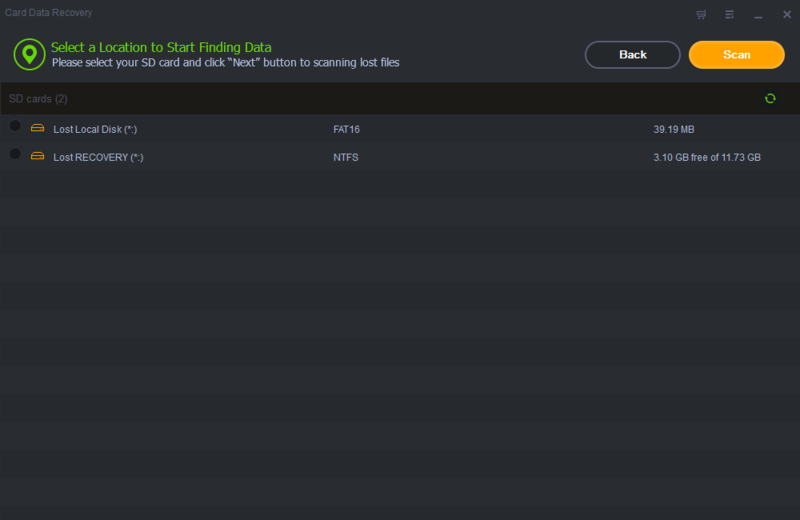 When the data scanning completed, preview the found files, select the files you need and click "Recover" to save them on a hard drive.